There’s no excuse for the Yankees offense to not hit well against Eovaldi. He hasn’t had many starts on the season. His record is a losing record. His ERA is nothing to write home about. He was charged with the loss in three of his last five starts, so he’s not exactly on a hot streak either, as also demonstrated by the fact that he’s only logged 7.3 IP over his last three starts. There are just two red flags as far as the Yankees are concerned against Eovaldi: he was awarded the win in his August 4th start against the Yankees, and the Yankees’ offense of late is keeping fans (and probably Aaron Boone) on edge; so while there is no excuse, nothing is a given, based off recent offensive performances. Eovaldi may not be pitching so greatly, but the Yankees aren’t hitting well. Even still, the offense is capable of far more than its members have delivered recently, and if they don’t hit well against Eovaldi, it is cause for concern heading into the postseason. However, the Yankees win out in the starting pitching department in the first game of this three-game set, and that’s thanks to the steadfastness of Happ. His stats speak for him, and he’s had a good streak, too -- not being charged with the loss in any of his first eight starts with the Yankees, and earning the win in six. 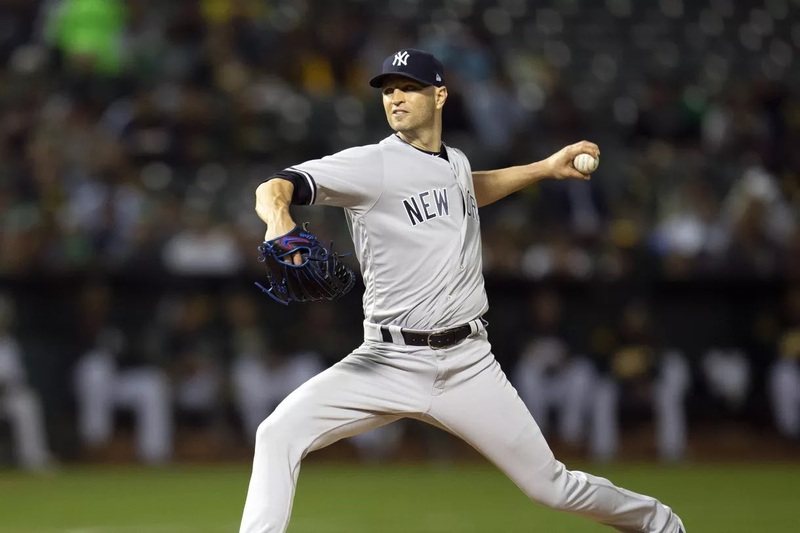 Happ has also faced the Red Sox twice on the season prior to joining the Yankees, with no decision on April 24th and being charged with the loss on July 12th. But while he has experience with this Red Sox team, the only possible concern with Happ here is that this game is his first appearance in a Yankees/Red Sox series. Big rivalry. Big stage. Big pressure. It’s a challenge, but not one that Happ cannot rise to. While Eovaldi may be a relatively easy starting pitcher to beat, the same cannot be said for Price. Price has logged an outstanding season so far, picking up the win in six of his last ten starts, and was not charged with the loss in the remaining four. He’s recorded 169 Ks on the season with a WHIP of 1.10. There’s no doubt that he’s tough to beat. However, there’s a bright spot in the situation: Price has appeared thrice against the Yankees this season, was charged with the loss in two of those three starts, and failed to earn the win in the third. And in the two losses on April 11th and July 1st, he gave up three runs over just 1.0 IP and eight runs over 3.1 IP, respectively. Granted, those two games were in the first half of the season, when the Yankees’ offense appeared more reliable than it does at present, but the potential for the offense to hit against Price is there. And then… there’s Severino. The ace. The projected starter for an A.L. Wild Card game since the talks of a potential A.L. Wild Card game began. However, his recent track record of starts tells a different story, and predicts a different starter in that potential game. First-half Severino was seven for ten in his first ten starts, and was only charged with the loss in one of those remaining three starts. Second-half Severino is 3-6 in his last ten starts. And he’s not on a streak, either -- those three wins were separated by losses, and Severino has lost in his past two appearances. Even more troublesome is Severino’s last appearance against the Red Sox, which resulted in an August 3rd 4-1 loss for the Yankees -- and he gave up seven hits and four runs over 5.2 IP. It’s very understandable to be concerned about Severino at this point, given his inconsistency and the fact that prior to the All-Star Break, he appeared virtually un-hittable. If there was ever a time for him to redeem himself, now would be the moment… especially against the Red Sox at home. The Yankees’ offense defeating Rodriguez is far from a foregone conclusion. While he only carries three years of MLB experience -- which is a far cry from the ten-year career of Price -- Rodriguez has displayed excellent work this season, between his record, his ERA, his WHIP of 1.22 and his tally of Ks totaling 133. And he’s done that in spite of only recently coming off a D.L. stint that started in July, racking up the majority of his stellar stats early in the season. While an argument can be made for the theory that an injury can really set a pitcher back, the potential for Rodriguez to pitch well in this game exists regardless. Rodriguez has recorded three starts since his September 1st return, with a record of 1-1. However, in his pre-injury June 29th appearance against the Yankees, he gave up seven hits and five runs over 6.0 IP. Between the Yankees’ present inconsistent offense, Rodriguez only three starts removed from a D.L. stint and the fact that the Yankees have been able to hit Rodriguez previously, it’s tough to predict how either side could fare in this match-up. However, one factor in this game that’s much easier to predict is the performance of Tanaka. He’s been a true Hiro lately (pun intended…), pitching a total of 21.0 IP in his last three starts, all of which he was credited with the win. His ERA over those last three starts is only 0.43, and his ERA on the season is nipping at the heels of a certain teammate of Tanaka’s whom we once called an ace. As far as the Red Sox are concerned, Tanaka has faced them three times on the season, earning the win in one of those starts, but was not charged with the loss in the other two. 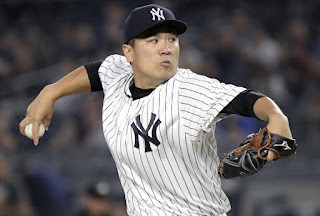 And while the Yankees were defeated by a score of 5-4 in Tanaka’s August 5th start against the Red Sox, he only allowed one run over 4.2 IP -- the other runs came after he exited the game. All stats aside, it’s been a pleasure to watch Tanaka pitch in September, and fans can hope for that pleasure to continue into this very important series. Aaron Hicks: The performances displayed by Hicks, both at the plate and in the field, are often overshadowed by his teammates, or, by the returns of his teammates. While Hicks faced his own stint on the D.L. at the beginning of the season, he hasn’t been the story for quite some time -- what with the injuries (and returns) of Didi Gregorius, Aaron Judge and Gary Sánchez. 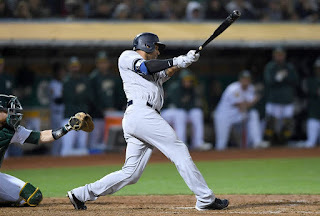 But Hicks, while he may not possess the same flash of some of his teammates, still carries a respectable 24 home runs on the season, a season in which he missed the first 11 games. He’s hitting .242 with 69 RBIs. While he is only six for his last 40 in the month of September, it’s safe to say Hicks is due for a streak. Hitting aside, fielding is also important in a Yankees/Red Sox series in September, and Hicks has only allowed one error in 2018 so far. Not to mention, he can play any outfield position should he be called upon to do so. And his secret weapon (not in the field)? A total of ten stolen bases this year. We don’t hear an awful lot about Hicks, but why would we, when his power-hitting teammates are either busy hitting grand slams like Miguel Andújar, having multi-home run games like Gregorius or are rehabbing an injury with the hopes of returning to everyday play ASAP like Judge? J.D. Martinez: Martinez is already hitting .267 just in the month of September. He’s hit 41 home runs, recorded 122 RBIs and has stolen five bases on the season. And in the most recent previous Yankees/Red Sox get-together (which resulted in a Red Sox sweep), Martinez was trouble -- he recorded a total of four RBIs, one home run, one stolen base, six hits (at least one per each of the four games) and four runs. As such, it is essential for the Yankees to be weary of Martinez; not only has he fared well against them, but, if his .328 average is any indication, he’s also been a consistent contributor throughout this entire season.